ARTISTS: YANATAKE, HAIOKA, Taigen Kawabe, kozmic, Ballack, KMC. Until 24:00, U-19 can also admission. 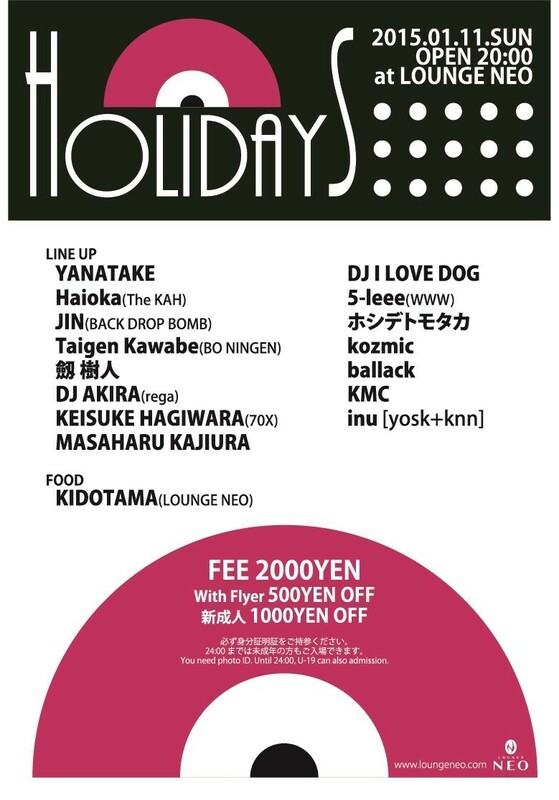 ★WEB FLYER★ SHOW THIS PAGE AT THE ENTRANCE!! !